I have been on a pineapple obsession recently. I'm not sure if it is the influence from Sarah Belle (my favorite Youtuber) or from College Prepster but needless to say, I am obsessed! I think this new trend is a great way to spice up your summer look. 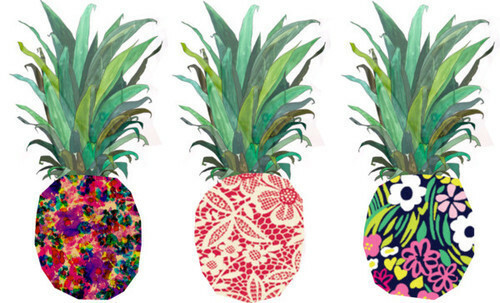 Whether you find a cute pineapple tee, a bold bag, or a small jewelry piece pineapples are the way to go for your go-to summer fruit fashion trend. Here are three looks that incorporate the pineapple trend! Look 1: This look is the boldest out of the three. It features a bright orange pineapple crop top with a simple white circle skirt. This look would be great for going out or if you find yourself in a warm destination this summer. Pair your skirt and crop top with a pair of neutral heeled sandals, a fun bag, and a pair of dangle earrings to complete your look. Look 2: A simple pineapple tee and pair of chino shorts is a great look for a relaxed summer day. I got a super cute pineapple pocket tee from the J Crew factory outlet and this is how I plan to style it! Pair your tee and shorts with a pair of brown leather sandals, statement earrings, and a pineapple bangle for a casual but chic look. Look 3: For a more subtle look pair a simple black dress with some pineapple kicks. These TOMs are super adorable and would go with a lot of different looks. Add a colorful statement necklace to complete the look. 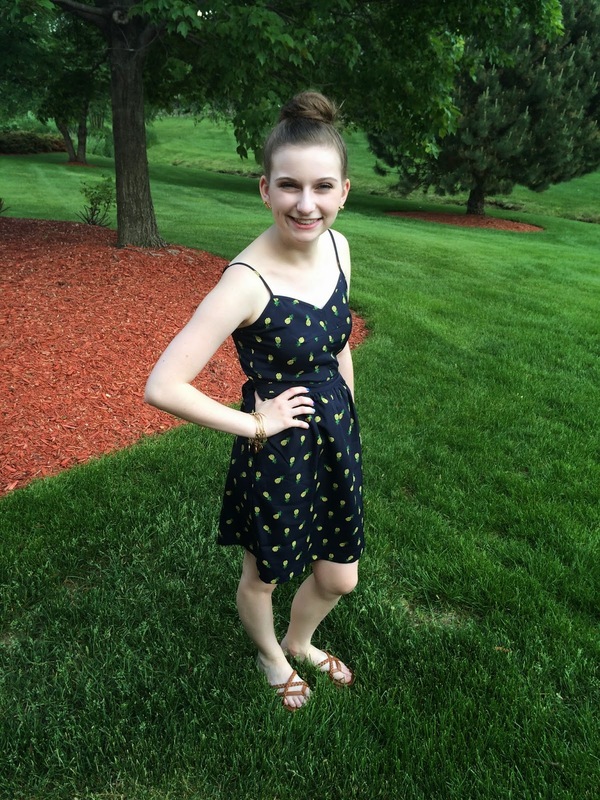 How I style my pineapple dress!